Bills are boring 😴... but a necessary evil we all have to deal with. Unfortunately today’s utility providers hardly make things any better. From our experience (and every survey under the sun), utility providers have a bad rep for mistreating their customers and looking out for themselves first. This combination of problems drove us to start Homeshift. We think managing your home services can be made easier than it is now… a lot easier! We started by building a really simple online dashboard that lets everyone see their existing services in one place. That was cool but not enough so we decided to really disrupt things and build our own services too. We design our homes services from scratch with you in mind. No legacy means we’re able to create plans that fit around your life and your way of doing things. How does Homeshift make money? Homeshift is completely free to use and always will be. Pinky promise! So how do we keep the lights on and the kettle boiling? 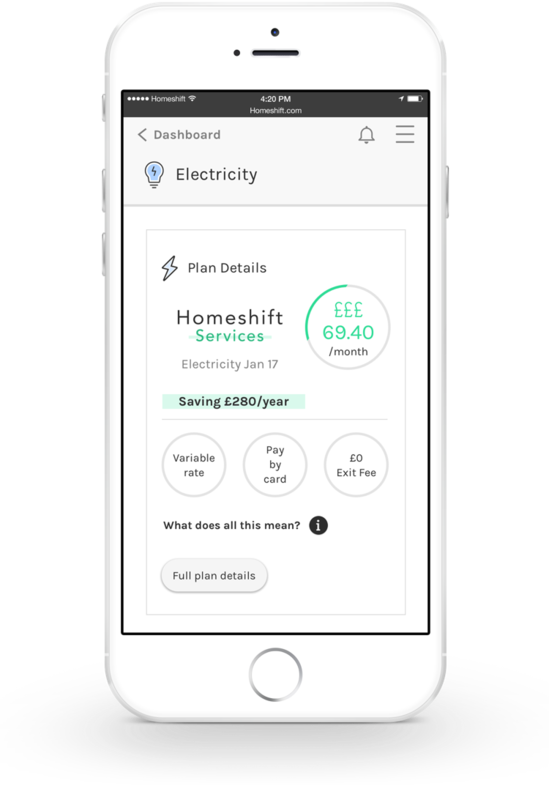 Homeshift makes money selling our own utility plans. We design our services from scratch and work with existing providers to build plans we hope you’ll love. The provider charges us to do this. We make our money by adding a fee on top of the cost.